A few years ago, I wrote (a post on this blog) about Shinkai’s gradual decline in storytelling quality. 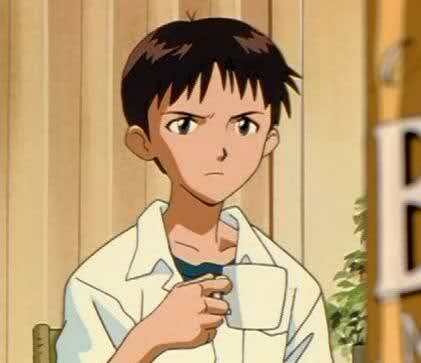 TL;DR’ing what I wrote back then, my main concern was with the choices he made for Kotonoha no Niwa and Hoshi wo ou Kodomo‘s scripts and how that was contrasting with his trademark bittersweet style. 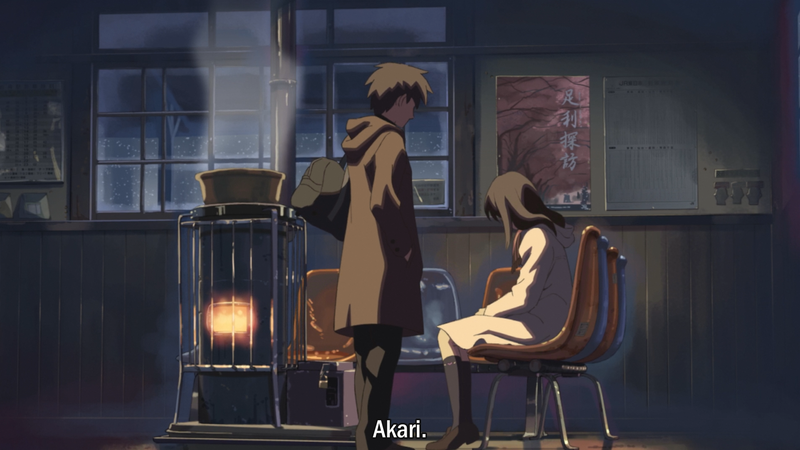 On his early works, most notoriously 5 Centimeters per Second and Beyond the Clouds, the narrative was built essentially as a slice-of-life. Sometimes it would include Sci-Fi elements, sometimes not but always with mundane emotions and a realistic, relatable background. As the movie progressed, more and more would become clear that its script is actually on the drama realm. Small and seemingly unimportant pieces of misfortune would tie together and crush characters’ romantic hopes, climaxing in a bittersweet, still empathetic, ending. The ending being bittersweet isn’t an obligation, he simply was great at writing those. The important thing was the tie of romance with sci-fi/fantasy in a way neither felt out of place and character’s actions where realistic enough. Love was always portrait as a unpredictable emotion –as it should be– but there was enough backstory and development to show where it began and how it began. The drama found its way throughout multiple events and not a single tear-jerking soundtrack-boosted moment. My hopes on that post/rant were that he would return to this style with his next release, and thankfully, he did. Kimi no Na Wa is almost the epitome of his style. “Almost” because for it to be a complete pinnacle of his works, it would necessarily have to wrap up in a open-ended finale (more on this bellow). Still, it accomplishes in blending and perfecting all of his form and tropes. That’s one of the reasons why I think this film was so widely appreciated and critically acclaimed by the general public. Those of us who already knew his (and ComixWave’s) style of storytelling and story-boarding, already expected many of the plot devices and twists included on this movie. However, for someone completely new to it, I can imagine how breathtaking and awe-inspiring it might be, especially when it all comes packed together with outstanding visual details and lovely character designs. Not to mention, it has a most welcomed goofy comedy that his previous works lacked and it ends in a positive tone, giving the audience the cute heartwarming romantic conclusion we all secretly expect. So what makes Kimi no Na Wa shine and illustrate a return to his old style? Science fiction fantasy is once again the main theme. Make an anime search and filter for slice-of-life romance and you’ll get a huge amount of results. Narrow the search to a fantasy setting and most of the results will be magic (e.g: isekai) or monster girls, try to narrow down again to sci-fi and almost all you’ll get will be mecha. 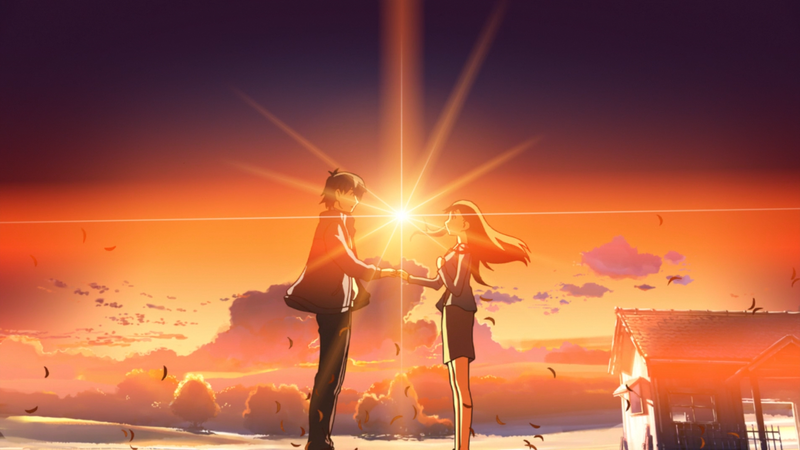 Hoshi no Koe and Beyond the Clouds were one of the few fantasy romances where there isn’t shounen action mixed in the script, the few well known alternatives are likely Spice & Wolf or Mamoru Hosoda movies. Kimi no Na Wa now joins this tiny group, a breather in the sea of sameface cardboard scripts. Nonlinear narrative and a provoking prologue. Here is where Shinkai starts borrowing ideas from his previous projects. He did it with Beyond the Clouds in a similar manner, though with that one it was poorly executed (see this blog entry). 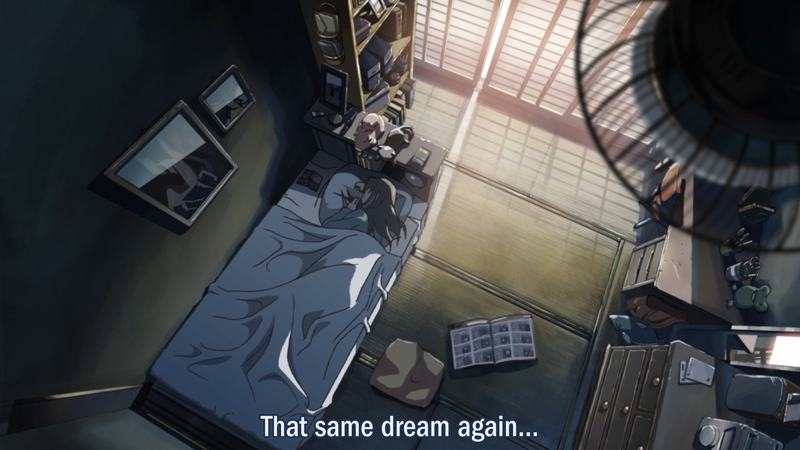 With Beyond the Clouds it can be assumed the events of the prologue took place somewhen after the finale, while in Kimi no Na Wa it happens shortly before the finale. The nonlinear style is almost entirely new, he did it before in similar ways with 5cm/s in form of flashbacks and also to introduce the 3rd arc and while Beyond the Clouds had time skips, it didn’t shift back to the past. Dreams play an important role, and so does the monologues about them. I don’t really know how to explain what’s this guy’s thing with dreams, I can only say he likes to write about them a lot. Maybe it’s a Shinto/Buddhism thing but most of the foreshadowing in his narratives is done through them. 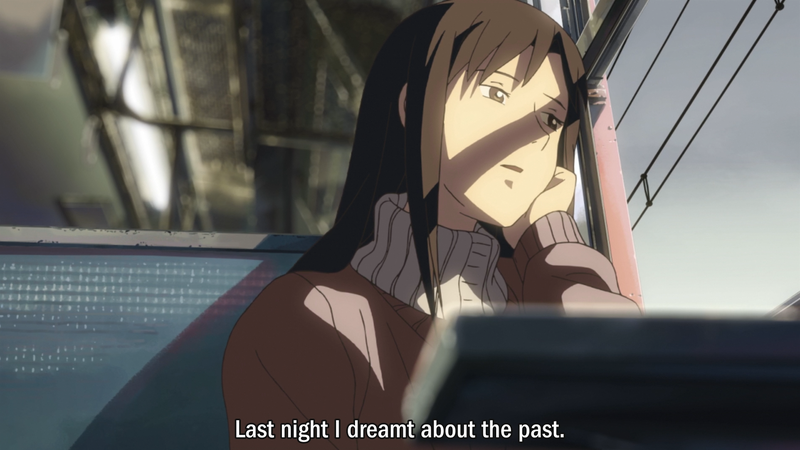 In 5cm/s it’s used to introduce the final arc, in Beyond the Clouds it goes a step further and not only is a plot device to show Sayuri’s angst but also part of the story as Sayuri and Hiroki would communicate through them. 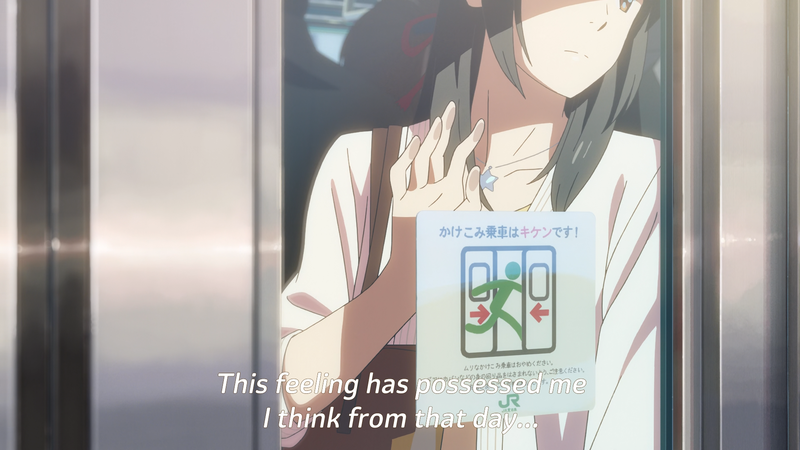 In Kimi no Na Wa, guess it’s pretty much self-explanatory, the whole script revolves around it. The angst about a memory you once had but can’t remember anymore. This comes related to the previous item as Shinkai plays with the same emotions our guy Christopher Nolan juggled in Inception (2010). 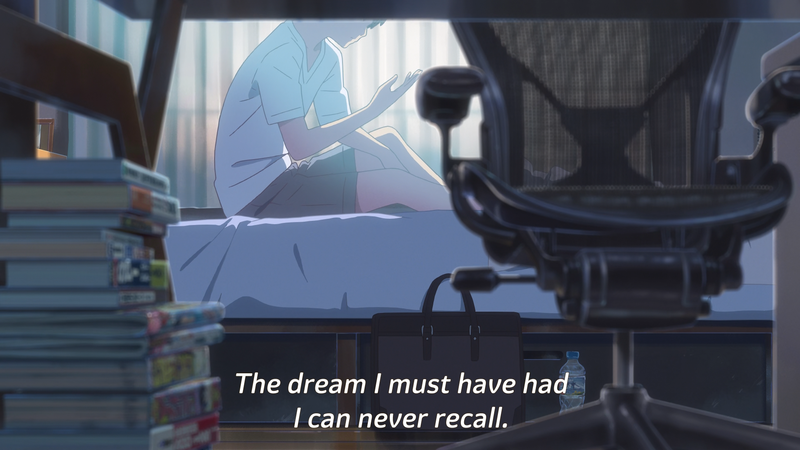 How can things that seem so important during a dream suddenly vanish from memory the moment you wake up? 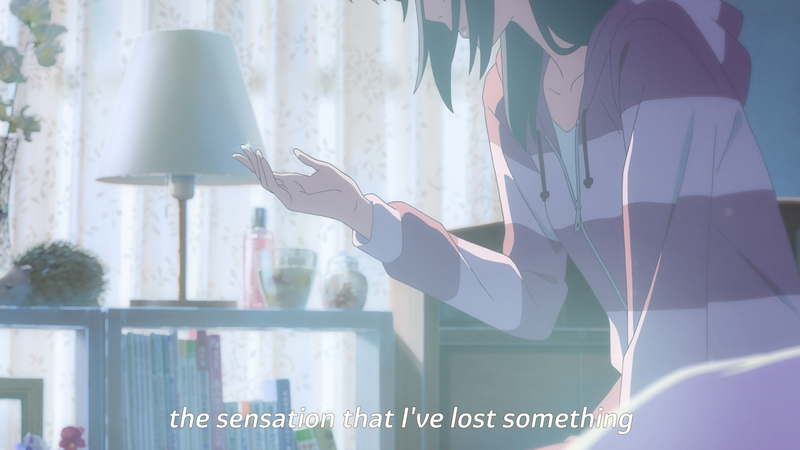 In Beyond the Clouds, it’s responsible for the heartbreak as Sayuri desperately tries to grab together her feelings and the special connection she shared with Hiroki during her sleep/coma slowly fades away. 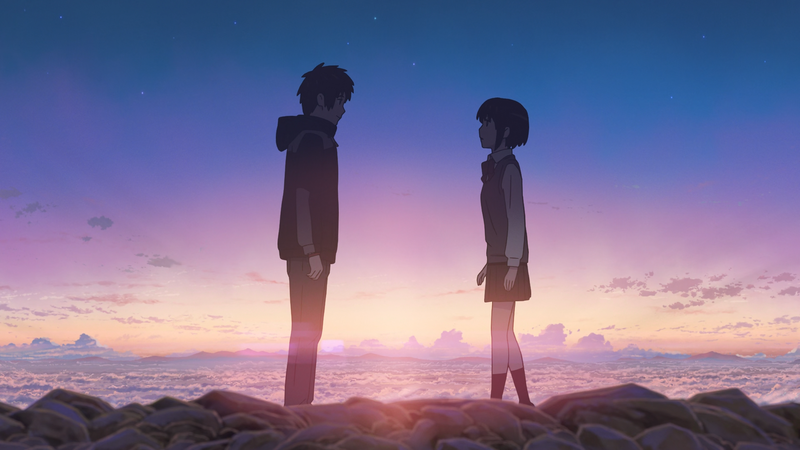 With Kimi no Na Wa it takes center stage but the essence stays the same: trying to recover the memories of a cherished relationship. A search. Time and distance as barriers to love. Once the core theme of all his works, after being poorly developed on Hoshi wo ou Kodomo and completely left aside on Kotonoha no Niwa, it returns once again as the main setting. What better antagonist than time itself? Fate? We can’t prove fate is a real thing. Time is the only universal variable that cannot run backwards, lost time cannot be reattained and we are all speeding towards our end. Distances cannot be compressed and unless you factor in velocity, it will never change. Shinkai films are structured like an odyssey, love is the emotion driving characters forward and the villain is their reality. “One More Time, One More Chance“, ending theme of 5cm/s is the perfect illustration of that if you pay attention to the lyrics. Meeting once again, through supernatural phenomena. 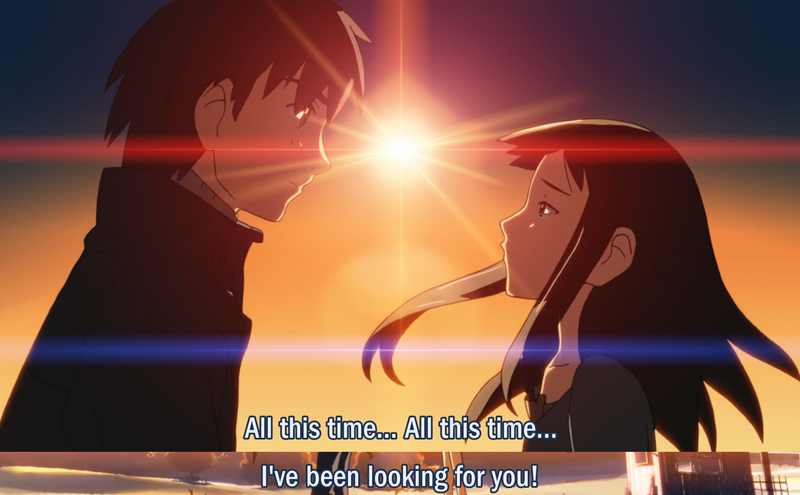 For those who watched Beyond the Clouds, the scene during Kimi no Na Wa when Mitsuha and Taki meet might have seemed a little too familiar. Yep, it’s the same setup. Both have characters running to a specific symbolic place where they could meet, knowing it’s not 100% reasonable or logical, but having the will to go forward and try, they are rewarded and share a heartwarming moment. The difference is that in the former, characters had to touch before being able to see each other while in the latter it was kataware-doki magic. Emotions and feelings are strong, but there are no melodramatic outbursts. You don’t see characters screaming on top of their lungs or having a fit in older Shinkai movies. 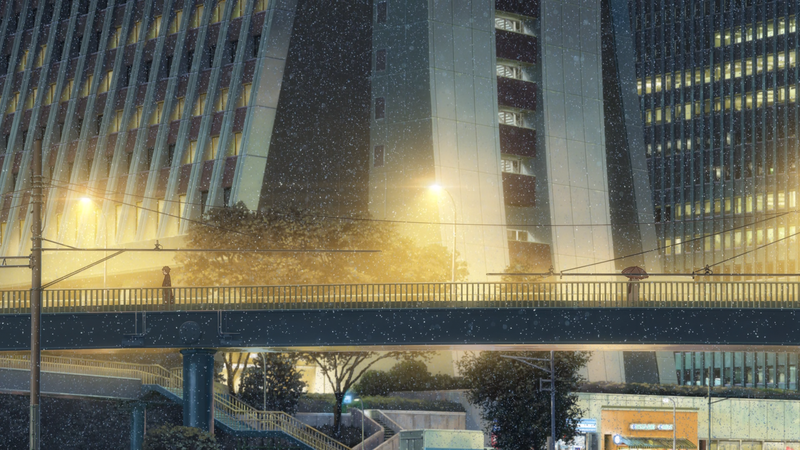 Then in Kotonoha no Niwa the ending is centered around a tearjerking scene it almost feels like Mari Okada wrote it. Kimi no Na Wa however, take the middle ground and perfectly balances moments of raw emotion with adequate self-awareness. 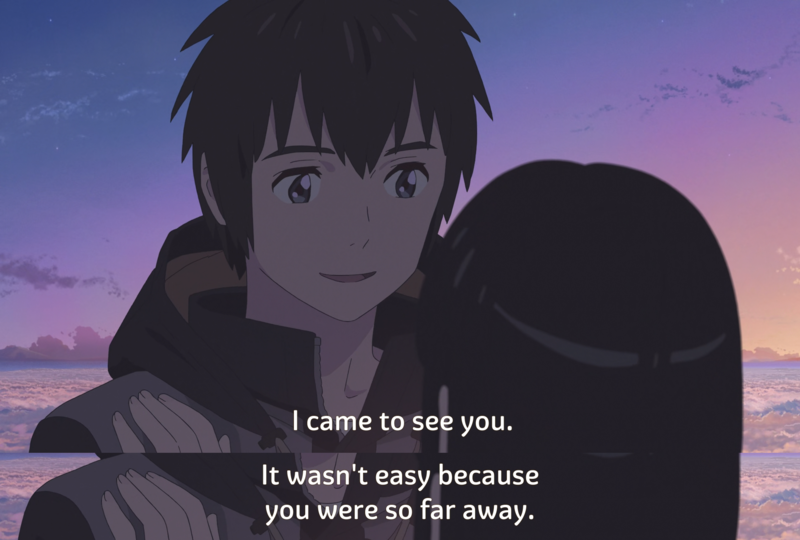 Taki and Mitsuha meet face to face twice but they don’t run into each others’ arms, instead they share a dialogue, which ends up being much more meaningful. Bonus points if roll theme song or credits after that. This is where he did things differently from before. 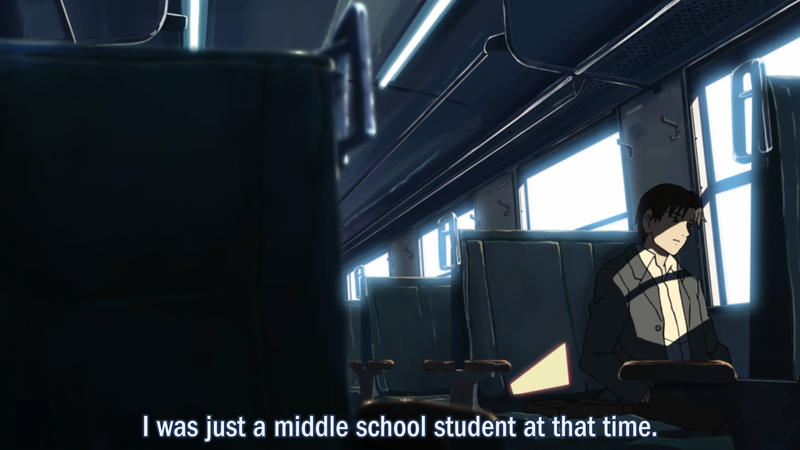 You don’t really have a bittersweet ending in Kimi no Na Wa but it’s something interesting to point out. 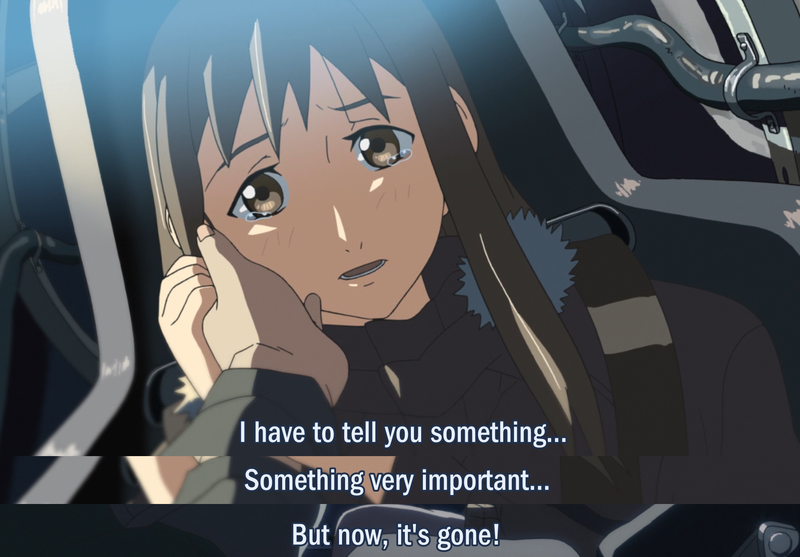 If you search the weeaboonet hard enough, you’ll find people claiming that the final scene was the first thing decided on the script of this movie, while others claim somewhen during writing, Shinkai or someone on the staff considered having a bittersweet ending a possibility (as pictured above). Whichever it was, I seriously doubt having such an ending would bring the movie the same amount of praise and critical acclaim it received. First because most people don’t appreciate romances where the main couple doesn’t end up together. Second because it simply wouldn’t fit the overall mood of the film. Kimi no Na Wa is a “love conquers all” kind of tale, unlike Shinkai’s older projects that were about closure, obstinacy and friendship. This film is undeniably the best resume of his life’s work so far. Never before Shinkai was able to play his cards with such perfection, and not only that, with so many talented people on the staff. For the first time ever his characters could get an actual design, instead of the half-thought samefaces he drew in the past. It’s no lie that drawing facial expressions wasn’t his best. He is good at body language and close up portraits, but scenes with camera movement and character motion weren’t always that great. What’s probably noticeable by now, is that it’s also a huge mixture of all that was done right in his previous works. Most notably Beyond the Clouds, the Promised Place. And because of that, I don’t believe Kimi no Na Wa is his magnum opus. That’s why you have a “kind of” in the title of this post. He’s “kind of” back on top of his game because he didn’t really innovate on anything. There’s nothing new to this film that proves he’s exploring new things or sampling fresh grounds, it reassures what’s he’s good at, but at the cost of repetition and replay of previous formulas. It’s Beyond the Clouds done right. With that in mind, I can say with confidence that Shinkai now consolidates his place as one of the greatest anime directors, storyboaders and scriptwriters. However his next film needs a completely different approach with brand new tools if he wishes to truly excel in such a competitive environment that is the drama/romance genre. He deviated from his style once, it didn’t work. Now he’s back at it, but reusing the same ideas won’t get him much further than this. Kimi no Na Wa is a gorgeous movie but it closes a cycle. FYI Beyond the Clouds with all its flaws, remains my favorite (duh, you hipster!) no, I’m not. I just love Tenmon above anything else. RADWIMPS are cool but they are no Tenmon. ← Chrono Crusade: Anime or Manga?